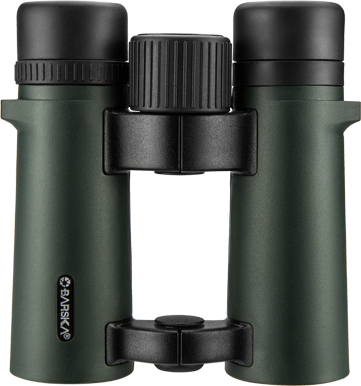 Barska has the largest selection of binoculars in the optics industry with multiple models for various activities. Zoom power binoculars, fixed power binoculars, wide field of view and high quality optics are the features that make binoculars by Barska® the best choice for hunting, camping, boating and more. 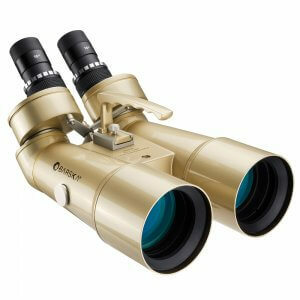 From high quality bird watching to out of this world astronomy Barska® has a set of binoculars for you. 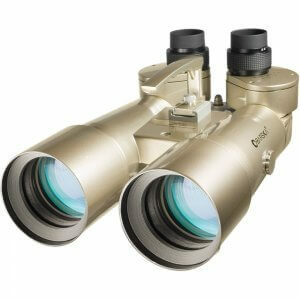 BARSKA offers a large variety of binoculars using the latest advances in technology in sports optics. Our binoculars can be used outdoors to view wildlife, stars, or even aquatic species as we have models specially designed for terrestrial, celestial, and aquatic viewings. Using the best technology, our lenses create clear, crisp, and distinct images to enhance the user's experience. Some of our models, such as the focus free binoculars allow users to pick them at any time without focusing or adjusting them at all, which is excellent in fast paced settings where something could happen at any moment, like during sporting events or wildlife expeditions. The optics are fully coated and the casing is a solid rubber that provides comfort to the user and protects the product in the rugged outdoors. The Point N View digital camera binoculars offer the best of both worlds for clear images and pictures. Not only do they contain a high quality prism, but they actually have the functional capabilities of a digital camera. The clear images seen through the binoculars can become pictures and videos that can be recorded, saved, printed, or sent to friends at a later date through the 1.5 inch LCD screen. Also available and similar to the Point N View binoculars is the new digital microscope with 3.5 inch color LCD screen. Gladiator zoom binoculars are designed to offer intense magnification and detailed, long-distance views in the sky or on land. The magnification range is adjustable, the zoom can be adjusted with a simple touch of the thumb, and the eyecups fold down for the convenience of users who wear glasses. Battalion military binoculars are the model of choice for tactical rugged use as they offer superior performance and features. The lenses o-ring sealed for 100% waterproof protection and dry nitrogen purged to prevent the lenses from fogging up, so they are capable of performing in any weather conditions. There are rubber grips to provide shock prevention and comfort to the user. Certain models are also equipped with a compass and internal range finder as well. We also offer an array of accessories such as tripods, mounts, and grips made of rubber, aluminum, and wood. All Barska binocular products are accompanied by a limited lifetime warranty. It's no secret that Barska as a company is committed to pushing forward the limits of human optics, especially with the many riflescopes and spotting scopes which have become customers' favorite products in recent years. But the company has pushed their product line and their commitment to technology just a step or two further with the development of its broad line of binoculars. 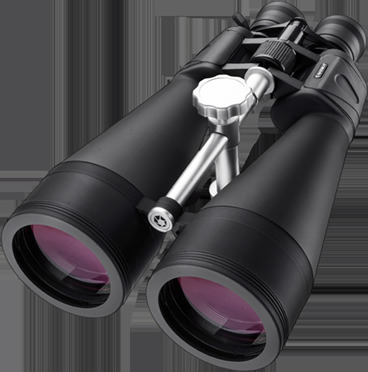 These binoculars, while perfect for hunters who need to see far distances and ensure the accuracy of the position and their shots, are also perfect for many other situations from stargazing to merely hiking through a rough terrain. Typically, a pair of binoculars is thought of as something which is merely used to zoom in on a far distance and examine a far-off target, whether that's a galaxy up in the sky or an animal that's several hundred feet away. That's certainly true, of course, but Barska is one of a handful of companies which is now paring such technology with built-in digital cameras. That means the far-off galaxy, the far-away game animal, or any other scenic vista can be ably captured and saved. Furthermore, the company's line of Gladiator binoculars puts Barska squarely in the crosshairs of stargazers and amateur astronomers who are angling to see far-off galaxies without the aid of a highly expensive telescope product. These binoculars have the ability to zoom in and focus on things which are far further away than a mere game animal, and they've become legendary among many people who find the Milky Way as appealing as a long day of gamesmanship in the field. In addition to the point-n-shoot digital binoculars that come equipped with a built in camera, and the celestial-targeted Gladiator line of binocular products, Barska produces a pretty well received line of military-grade binoculars that can survive even the harshest environments. Indeed, that's what they were designed to do and are the perfect complement to a tough, hard-fought day. The company's military-grade offerings are just another reminder that Barska is as committed to durability as they are to visibility and optical innovation across the board. Customer of all types will appreciate the Barska commitment to quality and reliability in these powerful products.